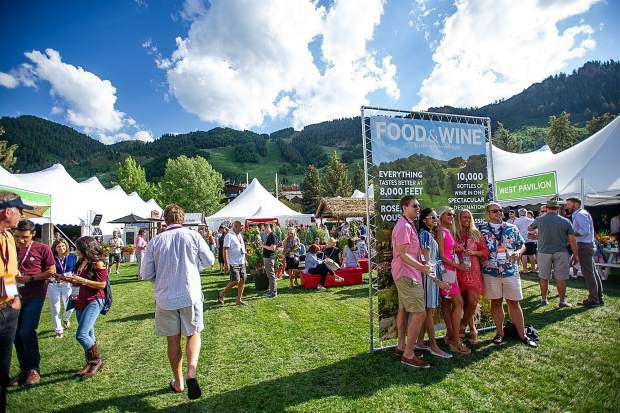 Spring is right around the corner, so it's about time to start lining up those food and wine festivals across the Colorado ski towns this summer. The 37th Annual Aspen Food & Wine Classic may be pricey but it represents the quintessential combination of wine education, exceptional tastings and an outrageous culinary experience. 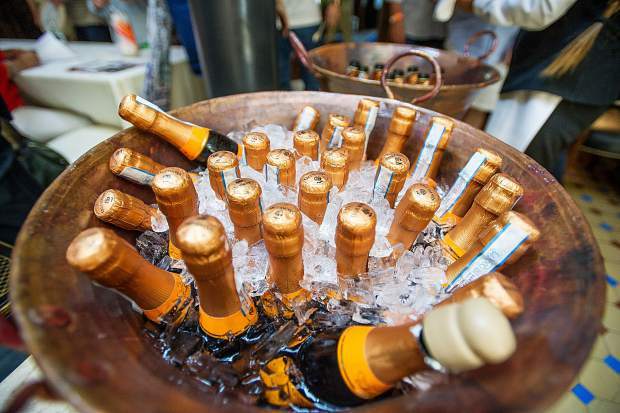 The 37th Annual Aspen Food & Wine Classic in June may be pricey but it represents the quintessential combination of wine education, exceptional tastings and an outrageous culinary experience. 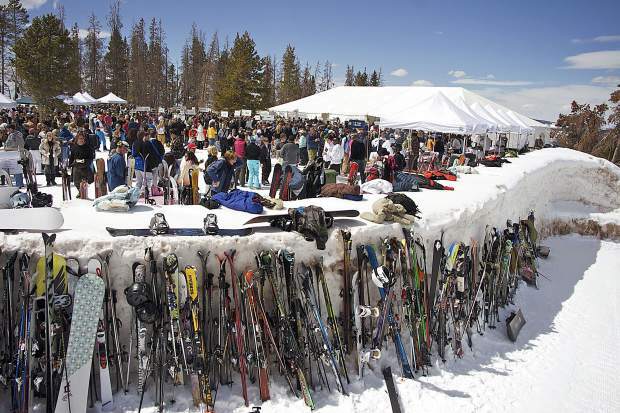 Ski-in, ski-out wine tastings are few and far between but The Taste of Vail, April 3-5, provides that opportunity at their Friday afternoon Mountain Top Picnic. There are few places that provide the wine and the view that is a hallmark of the 10,350 foot The Taste of Vail Mountain Top Picnic. It may be spring here but in the vineyards of the southern hemisphere the leaves on the vines are beginning to show the colors of fall. From spring until fall folks can find festivals throughout Colorado to indulge their passion for fine wine. Here are a few upcoming ski town events. When I think of spring I think of Provence and when I think of Provence I think of rosé. And over the last few years I have come to count on Phillippe and Charles Bieler for consistently providing great wines from Provence for a relative pittance. This infant iteration from the Bandol appellation is a touch more substantial than some other rosé from Provence. Led by mourvèdre, with grenache and cinsault also in the blend, it combines sun and soil to offer a taste of springtime in the South of France. And just like that, the seasons change. This week, the tilting and turning of the Earth brought spring to us in the Northern Hemisphere and fall to those down under in the Southern Hemisphere. The change came quietly, you likely didn’t even notice, at around 4 p.m. Mountain Standard Time on March 20. While it is subtle, the only real difference that one may observe is that today will bring us about two-and-a-half minutes more daylight than yesterday, it is a significant demarcation. 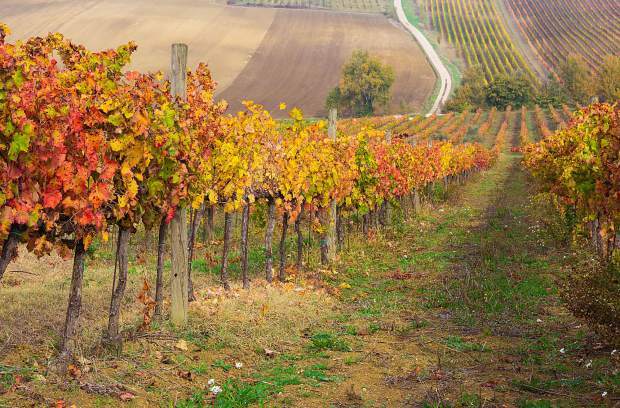 For the wine regions of the Southern Hemisphere the vintners are in the thick of the harvest. In Chile, for example, the white varietals are either off the vine or being picked as you read this, with the reds soon to follow. In places like Stellenbosch in South Africa and the Barossa Valley in Australia, the harvest festivals have already given way to the hard work of bringing in the grapes. But here, up north, in Italy, France and the U.S., it is the infancy of the 2019 vintage with bud break and the first shoots of the vines about to spring forth. It is a time of both renewal and optimism that is marked by the lengthening of the days. It made me think that spring is a season where we often begin to make a change in the wines we choose to drink. For the past few weeks, particularly with the heavy snows and cold nights, I have been drinking wines with heft and, dare I say it, comfort. Bigger reds such as Bordeaux blends from California and a touch of shiraz from Australia. They just seem right when the chill of winter licks its way under the door as a strong wind blows. They have also often left me feeling a bit heavy in the wee hours of the following mornings. But with the time change and the sun lingering later each night, my eating and drinking habits feel like they are on the cusp of transition. Maybe some salads for dinner and perhaps an open bottle of sauvignon blanc, or yes, even an early-season rosé starts to feel appropriate. This is also the time to start thinking about the wine festivals that mark the new year. 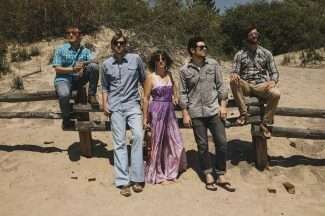 Yes, it may be hard to envision summer afternoons in sunglasses and shirt sleeves, stem in hand, as you stroll through a vast tasting tent, but these events are right around the corner. Literally. The Taste of Vail, one of the most epic wine experiences of any year, kicks off April 3 with, you guessed it, a rosé tasting. Over 100 different rosé wines, many from the recently released 2018 vintage, will be poured in Lionshead’s Arrabelle Grand Ballroom. This is a great opportunity to taste the many styles of these summer stalwarts in one place for just $59, and pick your faves for the coming season. One of the great elements of The Taste of Vail format is that it lets wine lovers buy individual tickets to tastings and educational seminars that are affordable, fun and great values. A seminar on Riedel stemware hosted by master sommelier Sean Razee, for example, is just $65. 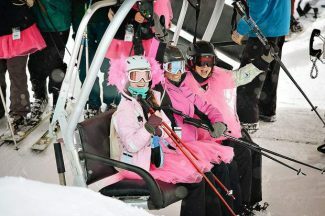 The four-day event is highlighted by the Mountain Top Picnic, which takes place Friday, April 5, in a snow fortress above the Lionshead Gondola. Over 100 spectacular wines are offered along with the best of Vail chefs’ creations at 10,350 feet in elevation. For natural beauty and conviviality, this ranks as one of the most enjoyable wine events on the planet. 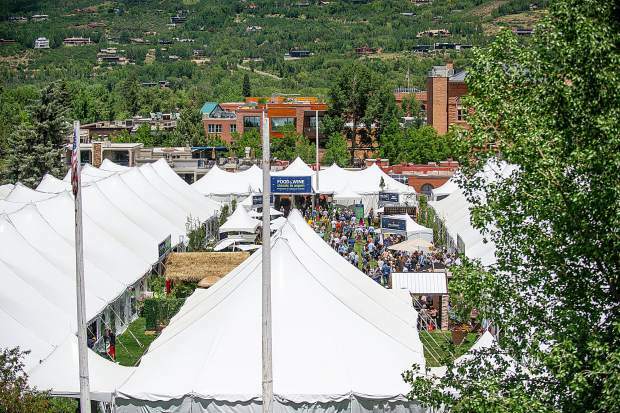 Of course, the Grande Dame of mountain town wine events is the Food & Wine Classic in Aspen, which takes place for the 37th year June 14 to 16. At $1,700 for a three-day pass it is an investment, but it always sells out. 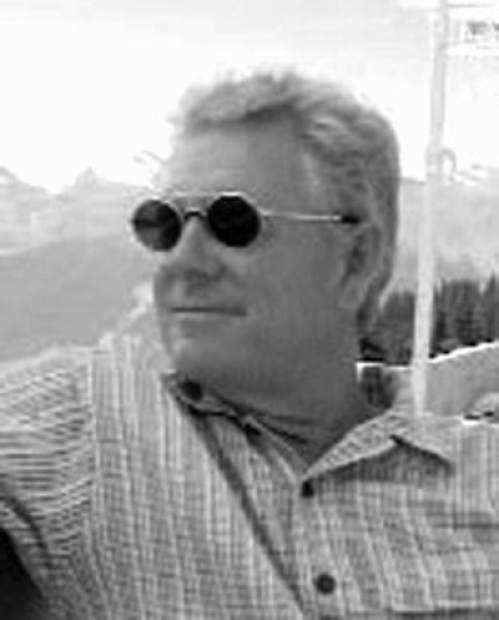 The beauty of Aspen, well aside from just the beauty of Aspen, is that it allows those who love wine to both learn and explore a multitude of wines in specialized seminars with many of the most learned experts in the world. 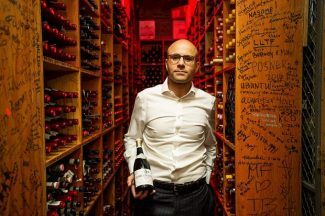 This year’s list includes Kevin Zraly, who ran the wine program at Windows on the World and whose educational programs have taught thousands the basics of wine. He will conduct tastings of wines from Bordeaux and Brunello di Montalcino that will be well worth the price of admission. Other sommeliers, writers and experts who will present include James Beard Award winner Bobby Stuckey, the Stanford grad-turned wine guy Mark Oldman and Andy Chabot, who oversees the cellars at Tennessee’s ultra-luxe Blackberry Farms. Tickets will be gone soon so it is time to book. Yes, just like that, the seasons changed. Time to start thinking about summer?